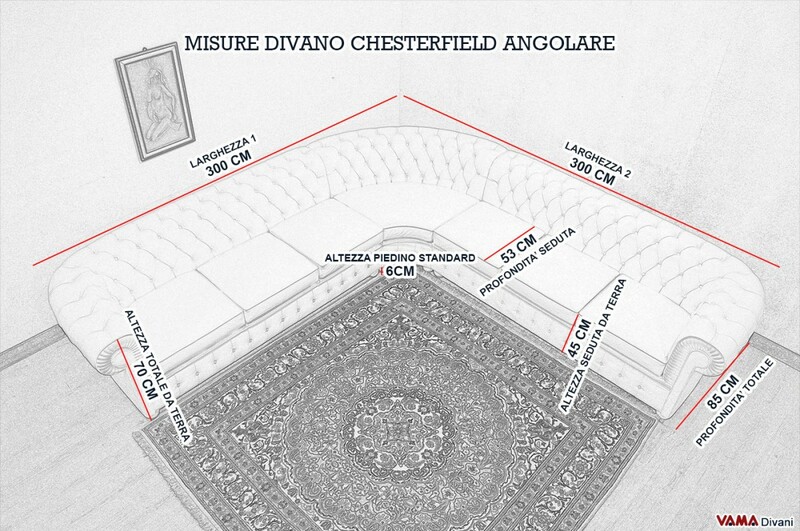 The Chesterfield sofa with round corner with its impressive structure is born to be placed at any 90-degree angle but, at the same time, it is perfect to create other design solutions: simply try to place only one of its two sides next to the wall! 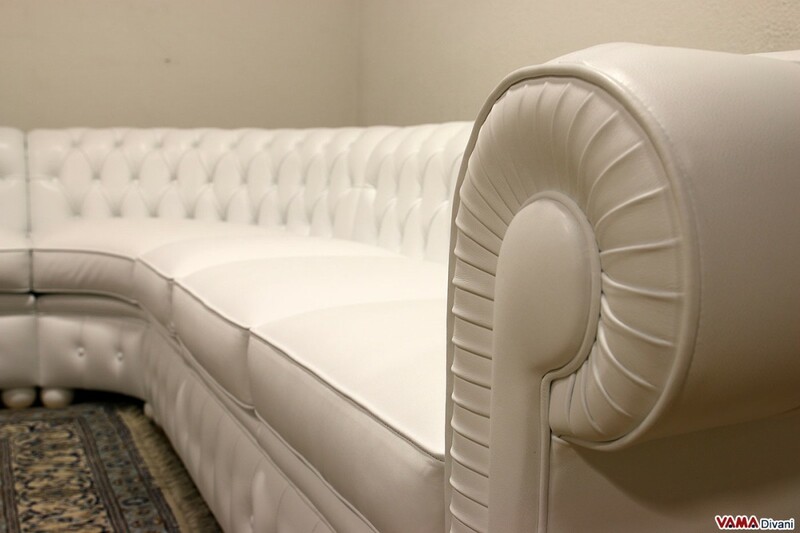 Despite having a rather unusual and very suggestive shape, this beautiful classic sofa presents once again, in an absolutely perfect way, all the key features of the Chesterfield sofa, classic model considered as the oldest one in the world. Its buttoned details are professionally realised by our Italian craftsmen and completely decorate its seat back and base, just as the more traditional Chesterfield models, and the seat cushions are perfectly smooth and softly padded. Other details, such as its onion-shaped feet in varnished wood and other fine decorations, make this sofa a real masterpiece. 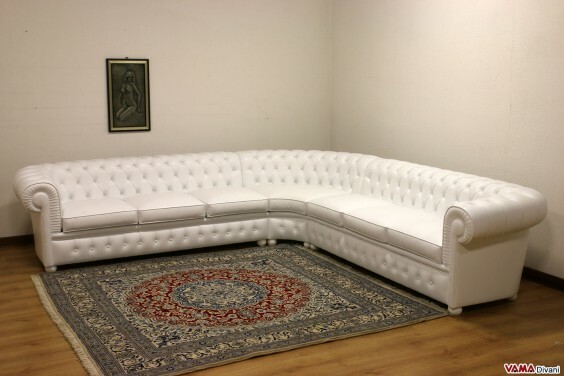 The corner side of this large sofa, moreover, is a rounded one, and it does not follow strictly the 90-degree angle, as the Chesterfield corner sofa with right angle: this solution is particularly appreciated both aesthetically and comfortably speaking, especially regarding classic sofas like this, since anyone, who sits in the angle, can easily rest on its seat back just as in all the other parts of the sofa. 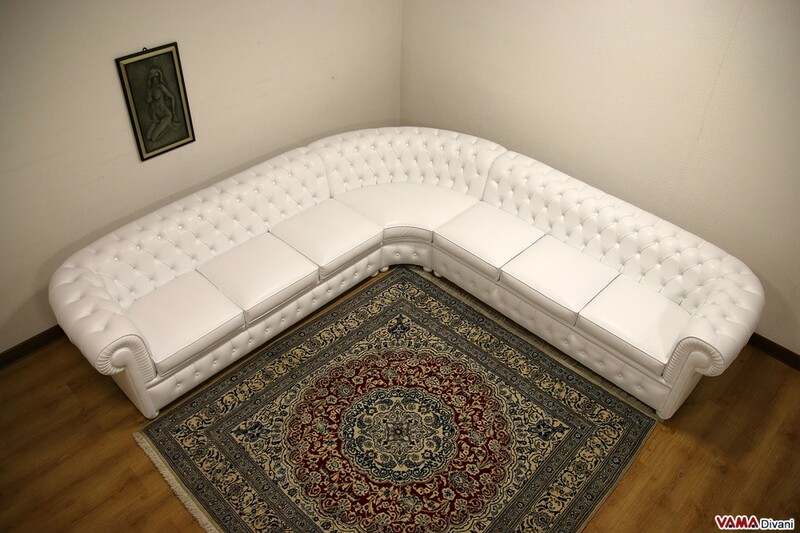 The upholstery is made of first quality leather, and the internal structure of the sofa, very solid and sturdy, grants this beautiful Chesterfield corner sofa a long life. 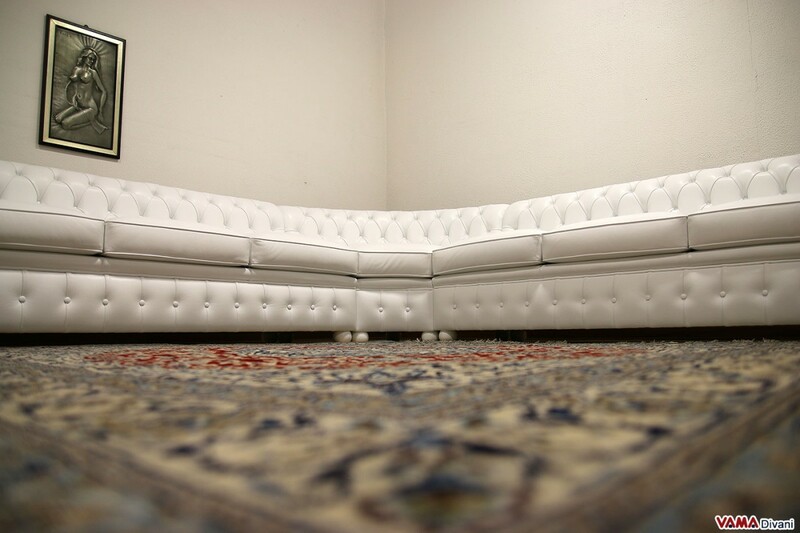 This particular Chesterfield sofa can be customised by VAMA Divani in many different ways and dimensions.